...and increase productivity. If you cannot afford to spend thousands of £££s on IT kit, space for files, backup, software and maintenance then please read on. Our team can set you up with an affordable solution without the added maintenance costs each month. In our busy lives, we need to access email on the move whether it's on a laptop, tablet or your smart phone. What would be even better is getting access to your files on the move too. 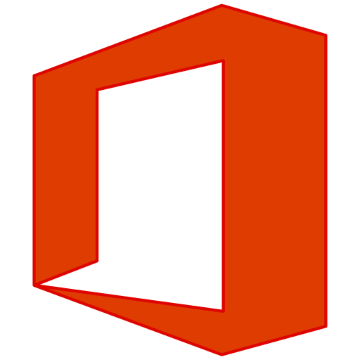 If you are working on your own, or with a small team, having office 365 will allow you to scale up your business and whilst you only pay for what you use. Whether you gain 1 member of staff a month or even 5 you only pay for the extra demand when you need it. Daniel and Chris co-own an air conditioning business and wanted to streamline the business systems. The existing email system caused problems sending and receiving emails on a daily basis. In addition, there was worries about the safety of the company files. The only way to work on files between the team was to email files. Office 365 has allowed Daniel, Chris and the team to access email without worrying if the email would be stuck on the computers. The new filing system they have means that no files are emailed to one another. They can even work on the same document at the same time on both their Windows and Mac computers. The team work between offices and this new system allows everyone to access files on the move. When Daniel is out of the office with a proposal on his mobile (saved minutes earlier by the team), he is able to maximise the expertise from team members whilst being professional to his future customers. There are no more worries about lost documents either. When a team member is off on holiday or taking time off for illness, Daniel can see the emails of the team and reply back to customers. These improvements in productivity saves calling staff members for information as it's all shared within the team. "Since we have been using Birak IT we have received IT solutions that have saved us both time and money. Service is fast, professional and friendly with an easy to use dashboard for raising problems and queries which are updated promptly. Baldeep is professional, experienced and we have no hesitation in recommending his services." Our team have recently helped businesses like Daniels in Southampton and nearby locations below. Just like Daniel, if you would like your IT to run more efficiently with the focus of securing your business critical data, please call the team on 01489 290 001. Would you like to know more about Office 365? Call our team on 01489 290 001 or drop us an email to save time with the Office Suite.